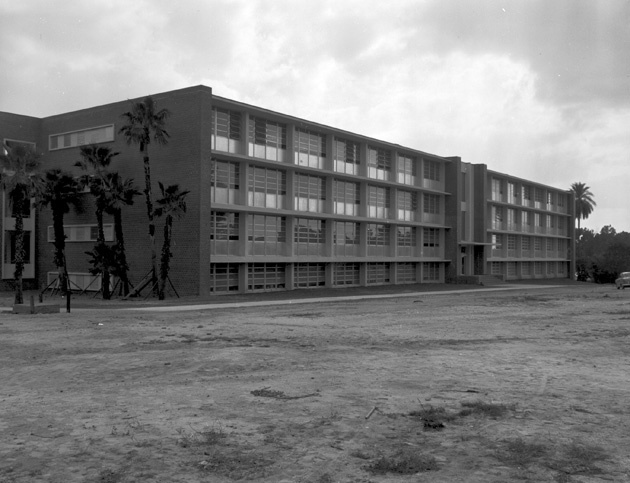 ﻿ Exterior of McCarty Hall on the campus of the University of Florida, Nov. 10, 1956. Exterior of McCarty Hall on the campus of the University of Florida, Nov. 10, 1956. Photograph 7271 from the University Archives Photograph Collection.